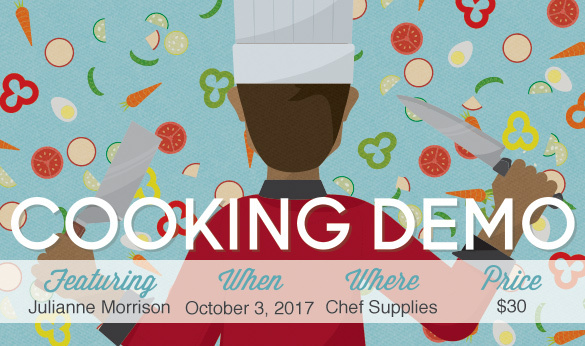 Join us in Chef Supplies as Julianne Morrison presents gluten free lifestyle options and demonstrates a meal! Call us today to reserve your spot at 865-225-1545. See you soon!